Places the number plate on the center of the bumper where it was intended to be mounted. The 3M tape will not leave any sticky residue if/when you decide to completely remove it. The face of the bracket that the plate mounts to is 204mm wide x103mm high. The bracket that holds the number plate is laser cut from 16ga plate stainless steel (NOT PLASTIC) weighing in at only 7 oz. with the license plate attached. 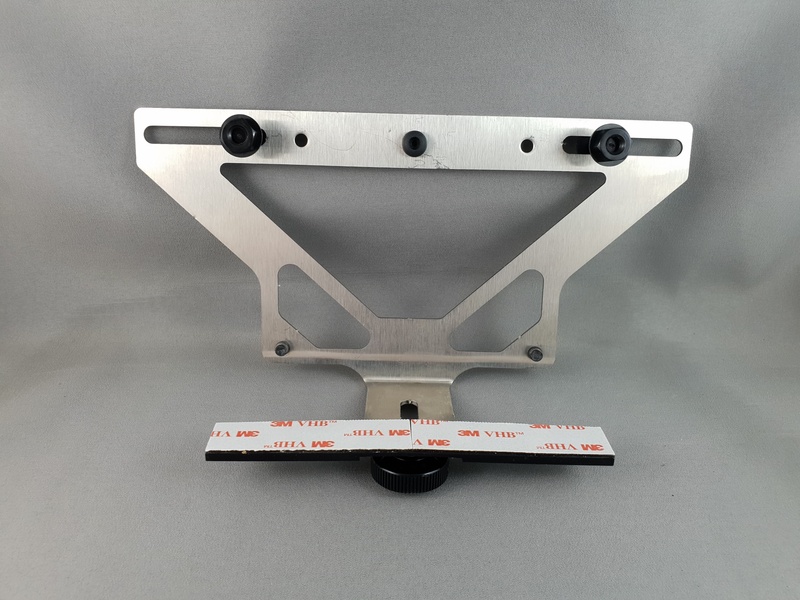 It has rubber bumper protection in place, to prevent vibration and so no metal part of the bracket never touches the painted portion of the car. The mounting base is 6061 Billet Aluminum machined with a stainless steel mounting stud pressed into the base. 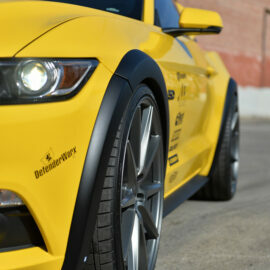 It comes with a custom knurled thumb nut used to fasten the license plate bracket to the mounting base. 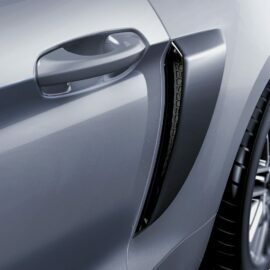 The mounting base is attached to the bumper cover, out of sight, using 3M 5952 VHB (Very High Bond) adhesive tape, some of 3M’s strongest bonding tape on the market. This VHB tape will bond despite extreme ground-to-air temperature swings of 150°F to -40°F (65°C to -40°C) and support up to 90 lbs/in2. This bracket has 3 square inches of tape that adheres. The all new attachment design was tested at various stages. It was initially tested by mounting the base to a painted surface with the bracket attached and we let it sit for a week; it didn’t move. Then we hung 10lbs of weight off the mounting base with the bracket attached and let it sit for a week; it didn’t move. Then we hung 41lbs of concrete off the mounting base; it didn’t move (see video). Then we mounted it on a 2015-16 Mustang GT, took it up to 100mph (for a short period of time) using the 3M tape mounting option; it didn’t move. 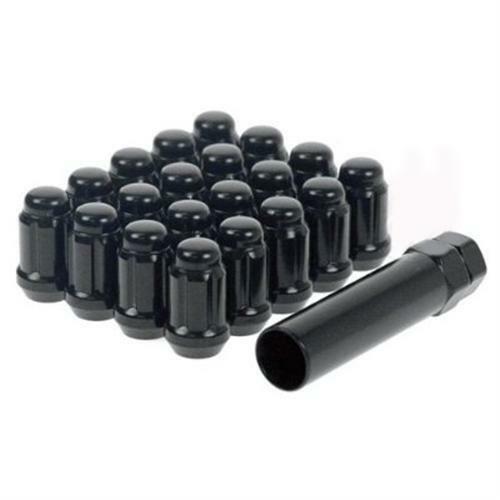 The mount is tested and proven and under no circumstances requires any additional screws to hold it in place. 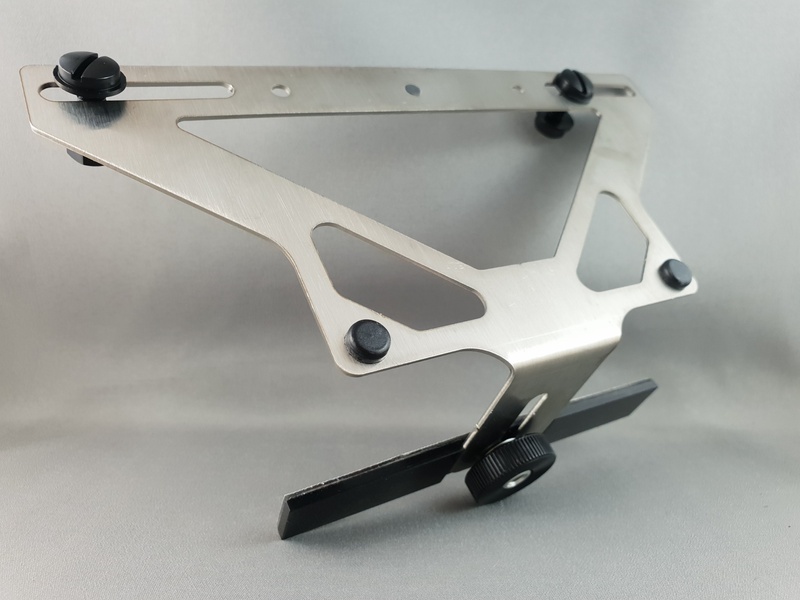 We did not test this mount with any heavy metal style license plate frames, only plastic frames and covers. 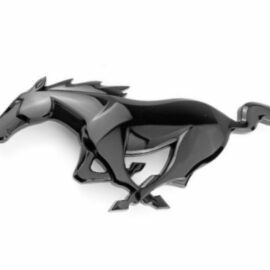 A lot of thought went into this bracket to make it the best option on the market for 2018-19 S550 & 2019 Bullitt Mustang owners and I know you won’t be disappointed. 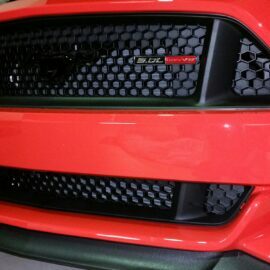 Thank you for choosing Craig’s Custom Mustang Brackets as your option for a “No Drill” front license plate holder. 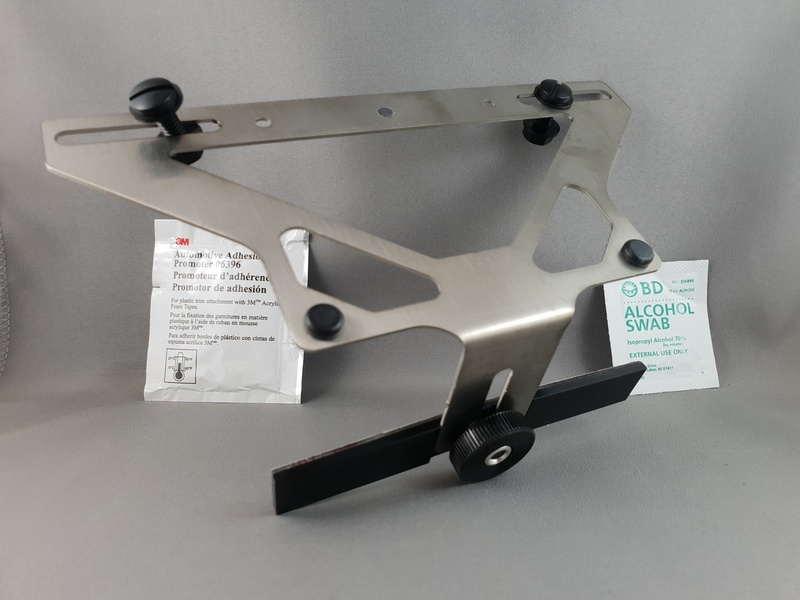 Comes complete with all mounting hardware, including; mount bolts for plate to bracket, Alcohol swab, Adhesion promotor, rubber spacer to protect mount from touching the front bumper. NOT MEANT FOR USE WITH HEAVY METAL STYLE LICENSE PLATE FRAMES. REMOVE BRACKET PRIOR TO USING ANY TYPE OF AUTOMATIC (Brush or Touchless) STYLE CAR WASH.